Located in the heart of Fells Point, there are two easy ways to find Belts. From the Cats Eye Pub, follow the S. Ann St. promenade past the pirate ship until you reach Belts. Alternatively, you can find the alleyway between Belts Condos and townhomes. This begins across the street from the old Dead End Saloon on Fell St. The clubhouse is on the corner of this alleyway and the promende. 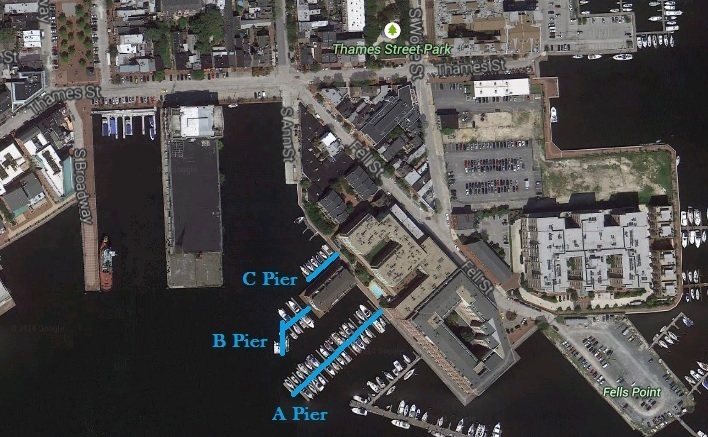 Enter the Baltimore Harbor from the Patapsco River. Look for the distinctive Henderson's and Belts Wharf Landing Condo buildings on the North side of the river. Belts Wharf Landing Yacht Club, LLC.